Do you need way more smoke in and around your face ASAP? Yes. 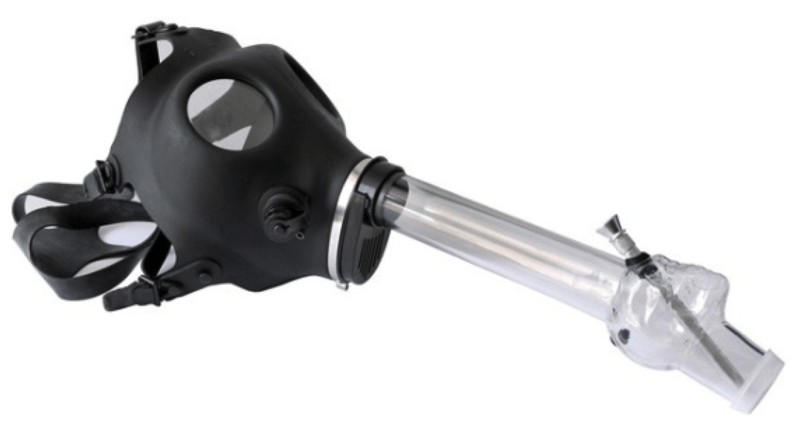 This Gas Mask Bong is surely what the inventors of the gas mask had in mind – a device that actually maximizes gas inside the mask. And while the primary goal of the Gas Mask Bong is to get you really super-duper wicked silly, it’s also very stylish. Wear it around town to get all that attention you’ve been wanting. Strap one on for your high school reunion to show that hot dumb cheerleader you’re cool now. Are you a soccer mom? Rock a gas mask bong the next time you pick up little Madison from practice and all the other moms gon be like daaaaammmmmnnn Patricia, you got a bong attached to a gas mask that you are currently wearing! Yeah, this thing sells itself. Go on, Patricia, make the best decision of your life and get a Gas Mask Bong! I neeed one of these! !